Profit is the final goal of any new product and well-organized user flow with clear hierarchy plays a significant role here. User flow is the process user follows since the first visit until solving his problem with the help of the product (this may be booking a hotel room, buying new shoes or ordering services or something else the user is requiring in this very moment). This process is important not only for the user, and its main focus is not only user problem-solving. 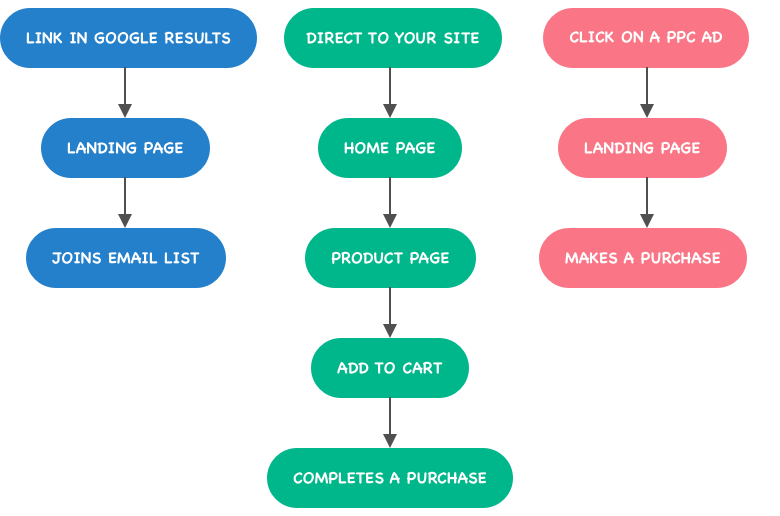 This process affects the product conversion as well. The reason is that if the user doesn’t know how to fulfill his own demand the deal will not happen. That’s why catching a user at the very entrance and leading him through your product to the place where he may order your services or buy the product is the extremely important process. Users don’t get to your site from nowhere that’s why before starting to catch them you need to understand the entry points and create the smooth and clear path from the entrance till the final user goal. 1. Direct link. Your regular visitors may start their journey from this point. 2. Email/newsletter. These visitors could share their email with you one day and of course, they may visit your product directly using the link from the emails you send them. 4. Social media. Social media may be a popular entry point nowadays, especially if you are working with them for marketing purpose. 5. Paid advertising – Visitors who came to your product from Google AdWords ad, for example. Each entry point supposes different clients with different purposes, interests and with different knowledge about your product and that’s why you should catch them differently. The user flow should be different for each of this group too. Now you see the main idea. The main logic of this is that the user who visits your site with the direct link more likely already know your site rather than the user who use the organic search as an entry point and, more likely, is the first-time visitor. To design the best possible user flow, you need to understand the motivation of each separate person and suggest the clear path to his problem solving depending on the entry point. The primary goal of well-designed user flow is to make the client move down the funnel in the right direction towards the desired action and optimize each screens functionality for future conversion, in other words, to catch client’s attention and lead him in the required direction. So, how to create a user flow and catch a user? 1. The target audience and the people who you are designing user flow for. 2. What should the user do within the product? What you suggest to him and, of course, to define the easiest way of receiving this. 3. And the last, but not the least, we need to know the entry points. 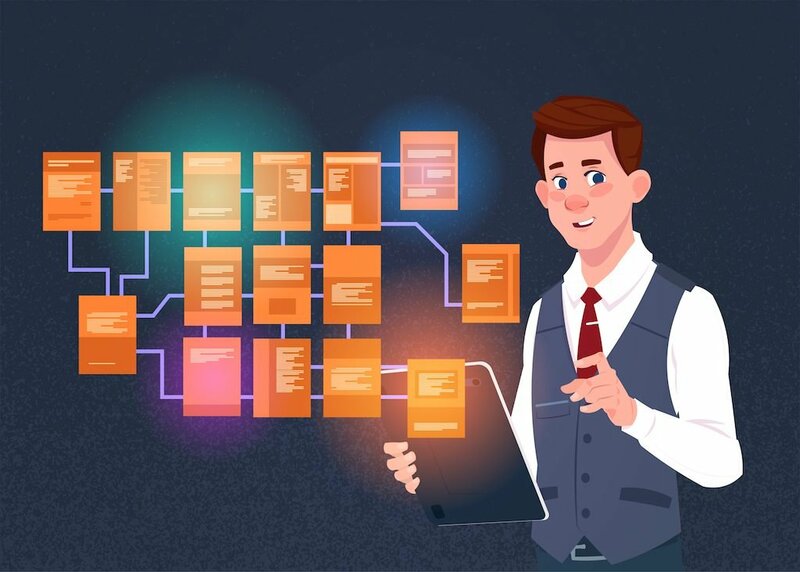 A clear understanding of how the users get into your product is critical and should be taken into consideration while user flow process creation. Understanding these simple things will definitely help to create effective user flow and catch the user’s attention. The main thing here is to remember that you are creating a great product for your users. If you are thinking about your visitors since the very begging stage of the design creation, they will love you and your business will flourish.